When the first CLS debuted, its “four-door coupe” shape sparked a sleek new era in car design. For its third generation, it’s in better shape than ever. Standard AMG® styling, 19-inch wheels and LED lighting reveal its lean, toned muscle. A flowing sculpture of leather, wood and satin aluminum, the CLS cabin welcomes five passengers for the first time. The roomy rear cabin now offers seating for three. Deeply contoured power front seats envelop you in artful design and advanced comfort. The CLS entices you with a rich palette of leathers and woods, and 64 colors of LED ambient lighting, even in the dash vents. Available new ENERGIZING Comfort can relax or rejuvenate you with light, sound, climate and fragrance. A new 362-hp turbo inline-6 teams tradition with technology. It’s electrified with a new 48-volt Integrated Starter-Generator that can seamlessly add up to 21 hp yet allow fuel-free coasting and lower emissions. With nine speeds and fingertip shift paddles, the advanced 9G-TRONIC automatic transmission is more flexible, decisive, and adaptable. 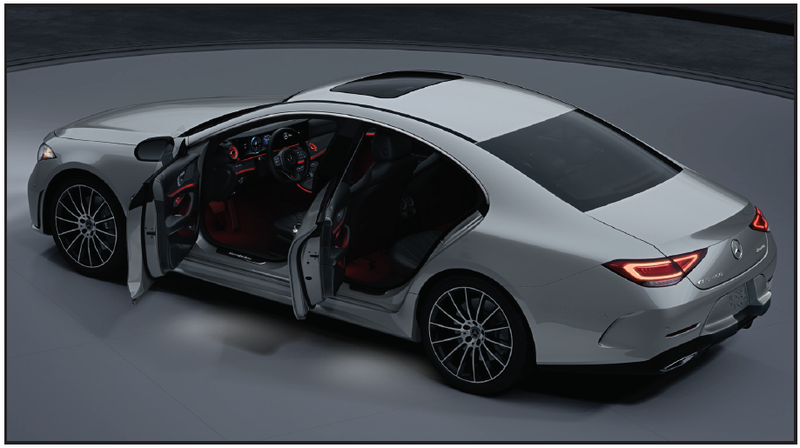 The multiple modes of DYNAMIC SELECT let you fine-tune the driving character of your CLS. *Car-to-X services are activated as part of Mercedes me connect. Connected services operate only where cellular and GPS satellite signals are available, which are provided by third parties and not within the control of Mercedes-Benz USA, LLC. See your dealer or MBUSA.com/mercedesme for details. Audio/multimedia system must be turned on for system to operate. **While the navigation system provides directional assistance, the driver must remain focused on safe driving behavior, including paying attention to traffic and street signs. The driver should utilize the system’s audio cues while driving and should only consult the map or visual displays once the vehicle has been stopped in a safe place. Maps do not cover all areas or all routes within an area. Display may not be visible with certain eyewear, including polarized glasses. While the navigation system provides directional assistance, the driver must remain focused on safe driving behavior, including paying attention to traffic and street signs. The driver should utilize the system’s audio cues while driving and should only consult the map or visual displays once the vehicle has been stopped in a safe place. Want to learn more about the 2019 Mercedes-Benz CLS? 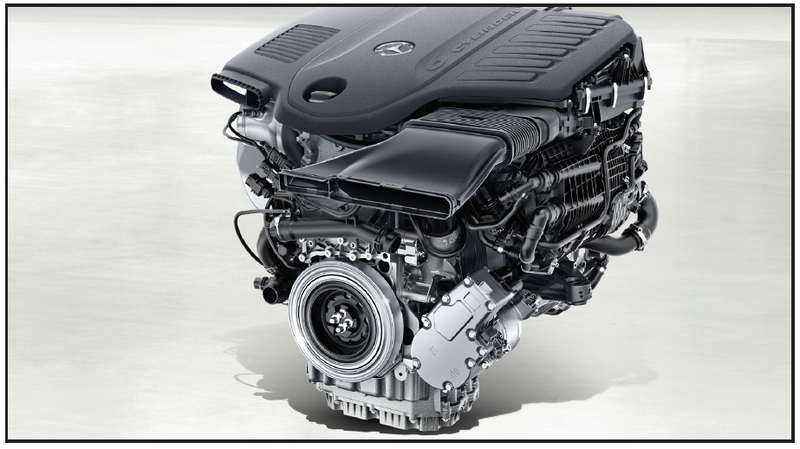 Check out these independent reviews, or contact a Mercedes-Benz Manhattan Sales Representative. Sign up below to schedule an appointment with your Mercedes-Benz Manhattan Sales Rep.
We’ll also keep you up to date with our latest, exclusive partner benefits. Drive In. Be Spoiled.